Current battery charge measured in the cars native measure. Termed GIDs, each GID represents roughly 80wh of capacity. Can be used to determine how much range is left. State of Charge %. This is not the same % displayed on 2013-2014 vehicles dash board. It represents true SOC not accounting for the buffer used at 100% and 0%. Battery capacity. Indicates how much of original intended battery capacity remains. This reported value can vary several % based on recent use and charge characteristics but can give an indicate of battery degradation. Battery state of health. Believed to represent a measure of internal battery resistance that develops over time, indicating how healthy the battery is. Average battery temperature. 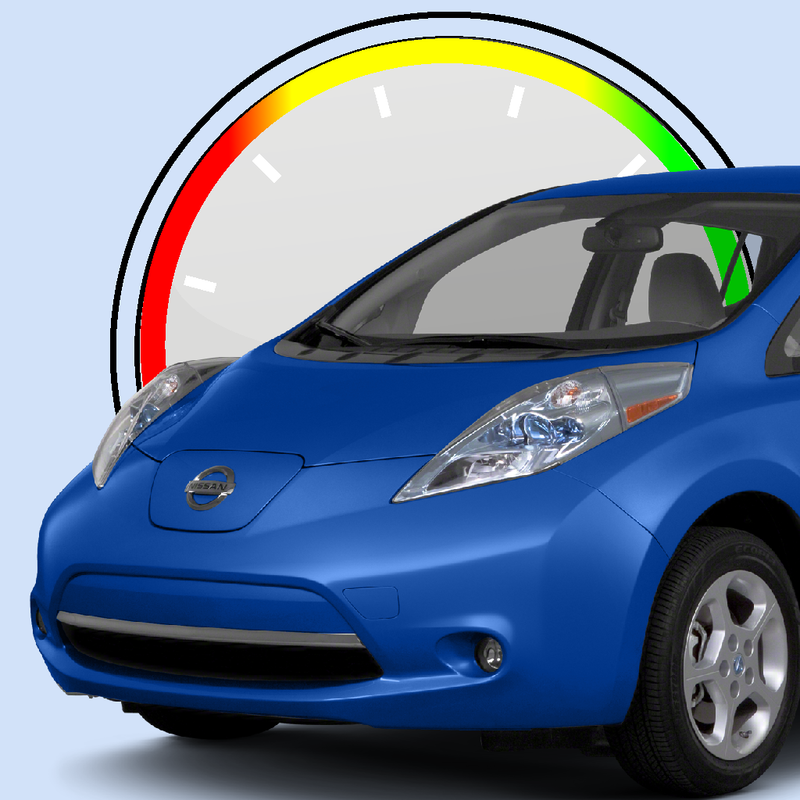 The LEAF includes 3 or 4 battery temperature probes. This value is the average of the probes. High battery temperature is the primary cause of battery degradation. Tire pressure. 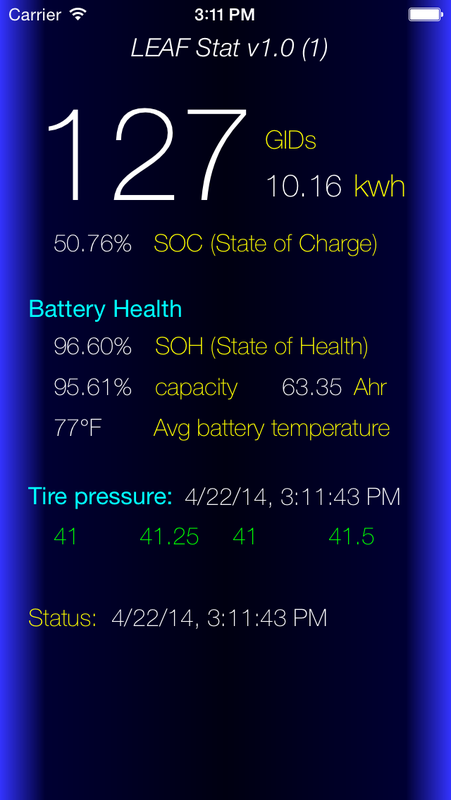 Once rolling, the LEAF reports tire pressure down to a 1/4 of a PSI. Vital to know if you have a slow leak or under pressured tires. Requires an OBDII WiFi adapter and works only with the Nissan LEAF. Connect the OBDII-WiFi adapter to the OBDII port on the Nissan LEAF. The OBDII port is to the left of the steering wheel under the dashboard. Note: Unless the adapter has a switch, it will consume a little power from the 12v battery even when the vehicle is turned off. Leave Router and DNS blank. The router field must be blank to allow cellular data which connected to the OBDii WiFi adapter. Feedback is always welcome, especially suggestions for improvements and new features. If you have questions or suggestions, send them to support@broadreachsoftware.com or post on the MyNissanLEAF website. Copyright © 2014, Broad Reach Software LLC. All rights reserved.